I have been knitting squares as part of the Knit a square a week challenge using the book 200 Knitted Blocks. 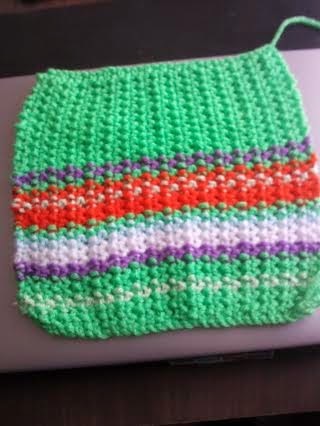 It is fun and I am enjoying making new squares that will be made into different items. Here are 3 blocks I made. This is block 69 Twin Triangles nice and easy to do and one that is great when watching TV. 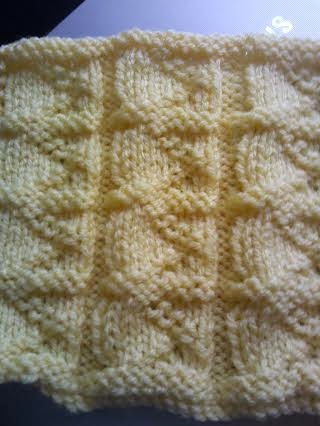 This is block 72 Zigzag Columns I like this another easy pattern that looks effective it is a brighter yellow than it looks in the picture. This is block 153 Speckled Bands. 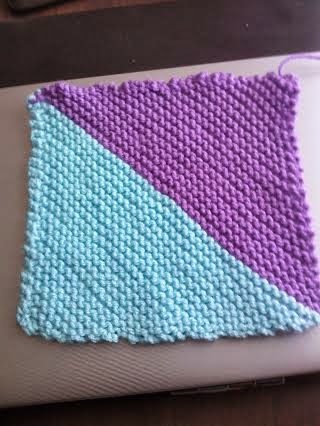 Very pretty but I don't know if it just me but this block turned out larger than the others. Weird as I followed the pattern exactly but all is not lost this is what I made from it. 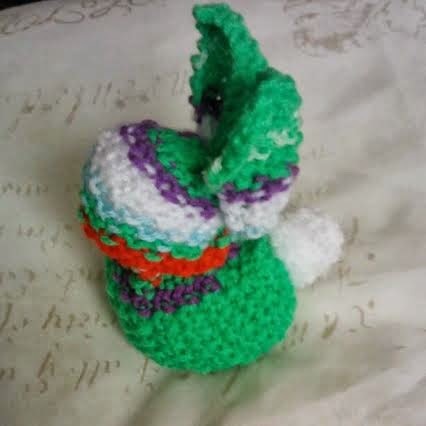 Now if I can make it you can it is easy to do so I now have a multi coloured Bunny. The tail is a Pompom that I made using the fork method. You will find a link on the left under Sites I love, How to make a Pompom. I'm following the same challenge and there have been lots of comments about the squares differing in size. I like your colours.